The president has signed a decree to this effect in the parliament chamber. President Petro Poroshenko has appointed Yuriy Lutsenko as prosecutor-general of Ukraine. He signed the decree to this effect in the parliament chamber after Lutsenko's nomination was approved by MPs. According to the constitution, the prosecutor-general is appointed by the president on parliament's consent. 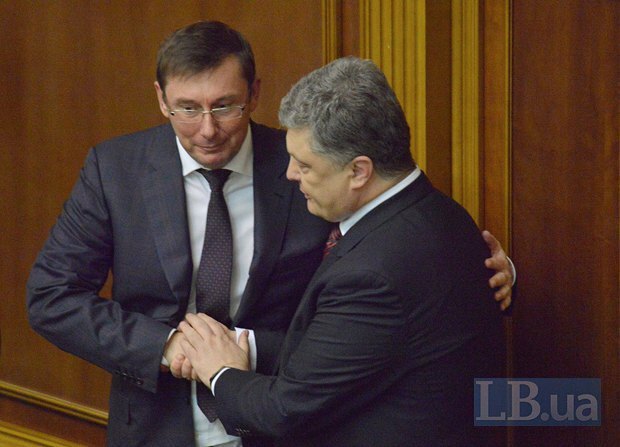 Poroshenko is expected to officially introduce Lutsenko in his new role on 13 May, according to the latter. Lutsenko said he was not planning to make any press statements in the coming days because he needs to learn the ropes first.